Editors Note: This article is part of a five-part package dealing with operating costs in 2017. Read related articles that offer and in depth look at Tire Prices, Fuel Spend, and Preventative Maintenance, as well as an overview of operating costs in 2017. Fleet maintenance costs have remained flat over the past 12 months, compared to CY-2016, with the primary factor continuing to be increased vehicle build quality and longer-lasting components. “Overall, maintenance costs have remained flat or seen minimal increases in 2017 as compared to 2016,” said Christopher Foster, manager, truck account administrator for ARI. Contributing to this increased reliability are engine and transmission component engineering, onboard diagnostics providing early warning to drivers of issues, new motor oils and faster OEM response time to component failures. The veracity of higher vehicle quality is best exemplified in fleet maintenance expenses, which remained relatively flat over the past year. “Preventive maintenance service menu prices (brakes, oil changes, and alignments) have remained stable at most national service providers. We have seen a continuation of the trend of fleets adopting longer service intervals for oil drain intervals, which has resulted in longer periods between preventive maintenance services,” said George Albright, assistant director of maintenance for Merchants Fleet Management. One concern voiced about longer drain intervals is that drivers may not be as diligent in checking motor oil levels. Other than repair costs, adjusted for inflation, were, on average, consistent with those in 2016. Fleet maintenance costs have remained flat over the past 12 months, compared to CY-2016, with the primary factor being increased overall vehicle quality. Other than repair costs adjusted for inflation, the cost of repairs, on average, were consistent with those in 2016. There are fewer catastrophic events later in the service life of fleet vehicles. As vehicles become more complex, so do all aspects of vehicle repair. Increased expenses for windshield replacements in Euro-style vans. “Overall there isn’t much difference in maintenance costs in the past 12 months. Dealing with rental-replacement costs when OEMs had widespread part failures and production delays were not an issue this year as in the past,” said Dale Jewell, manager US maintenance for EMKAY. New maintenance trends are emerging as new fleet vehicle models are put into service. “For example, two significant trends in maintenance are the transition to lighter weight, more expensive oils; and the trend toward increased vehicle automation,” said Mark Atchley, senior supply chain manager for Enterprise Fleet Management. Fleet maintenance professionals agree that today’s vehicles are more reliable than ever before and are built to last. “With each model-year, we are generally seeing better-built vehicles that may be driven longer without reaching catastrophic system failures. These failures are fewer and trending toward later in life,” said John Wuich, vice president, business analytics at Donlen. One consequence is that increased vehicle quality may encourage some fleets to further extend vehicle service lives. “While there is a continued trend of fewer catastrophic events occurring later in life, new categories or types of repairs fueled by newer technologies and safety features requiring diagnostics, are being seen,” added Wuich. The increased volume of Euro-style vans sold to fleets has resulted in maintenance issues specific to these vehicles. “Windshield costs for the Euro style vans have increased over their predecessors. Also, windshields that incorporate lane departure or similar technology sometime require OEM recalibration when replaced at an additional cost,” said Mark Lange, CAFM, managed maintenance consultant for Element Fleet Management. This observation was also made by Chad Christensen, senior strategic consultant for Element Fleet Management. “We are seeing a higher incident rate on windshield repairs on the Euro-style vans. Our assumption is that the increase in windshield surface area is causing this,” said Christensen. 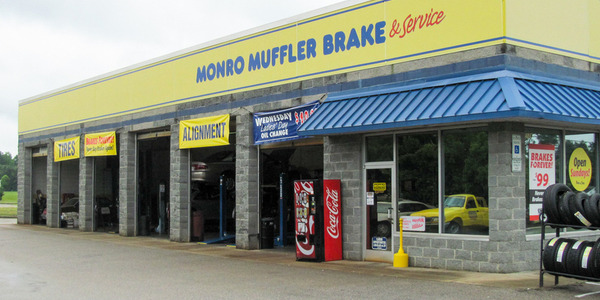 Another maintenance issue cited for Euro-style vans is premature brake wear. “Euro vans have more overall cargo room than their predecessors which appears to have brought on more overloading issues and premature brake wear,” said Lange of Element. One noteworthy improvement has been with national account vendors. 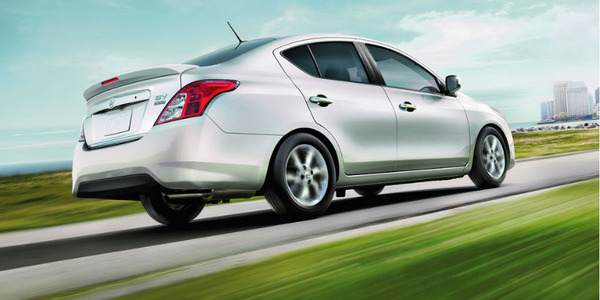 One area experiencing both price increases and decreases are brake systems. The parts shortages experienced over the past several years appears to have ameliorated, which is helping to reduce fleet costs. “For example, rental costs have gone down due to fewer parts delays,” said Christensen of Element. Many fleets have extended oil drain intervals based on onboard oil life monitoring systems. 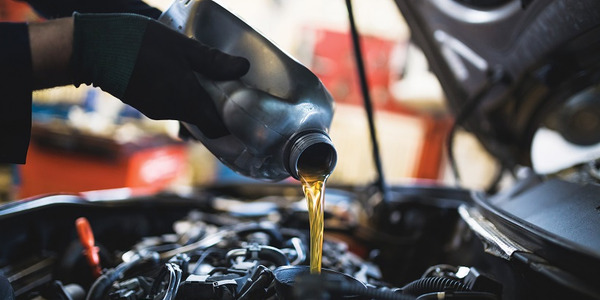 “More clients have moved to only following the OEM oil life monitoring technology to determine oil change intervals,” said Christensen of Element. While maintenance costs remain flat, other costs have increased. 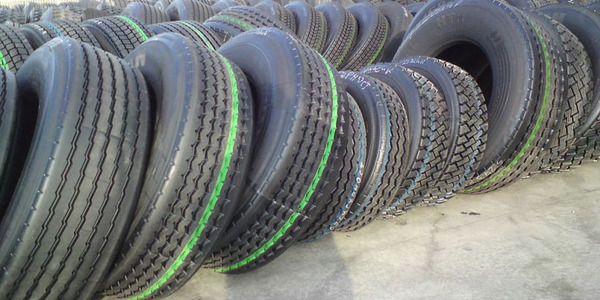 “Oil type and pricing, as well as tire pricing, will continue to increase costs. 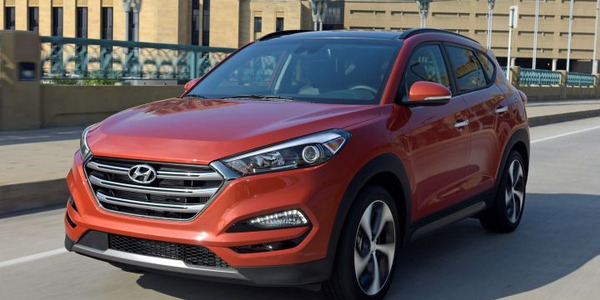 Trim level selection can make a significant impact on tire pricing. 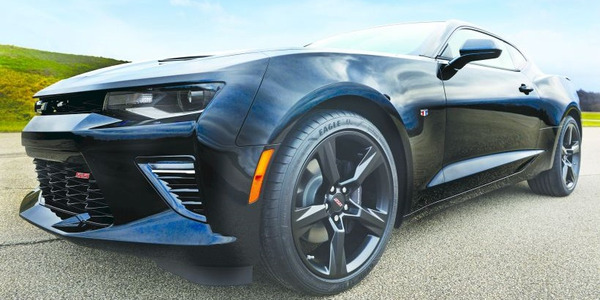 Oftentimes varying trim levels will result in different tire sizes, and even slight size differences can make a large difference in price and availability. It’s vital to pay close attention to these subtle differences,” said Jewell of EMKAY. One area where maintenance costs are increasing is with labor rates, especially at service facilities located in high-cost-of-living metro areas. “In 2017 we have seen many shops increase labor rates and expect this trend to continue. Skilled technicians are exiting the trade at a rate faster than entering. This will put more pressure on shops to increase wages to attract the best talent,” said Jeff Whiteside, assistant vice president, manufacturer relations and repair services for Wheels, Inc.
Another reason for fleet maintenance being flat in 2017 is due to a decrease in recalls. “This year, there were fewer vehicles impacted by recalls,” said Christensen of Element. “Manufacturers’ recalls continue to be a source of concern and expense for vehicle fleets. We have seen various fleets take different approaches to managing safety recalls, including short cycling of vehicles and stop-drive campaigns from a safety perspective. While recalls have no repair cost, the additional rental expense and associated downtime can be considerable. Short cycling may solve one concern, but clearly will have an impact on overall spend,” said Foster of ARI. With the recent hurricanes and the subsequent flooding, there has been an increase in flood-damaged vehicles. “With weather-related incidents becoming more prevalent, it’s key for fleet managers and drivers to seek advice from their fleet partner prior to repairing these types of damages. Initial estimates for these types of repairs tend to double and sometimes triple due to the hidden damage factor,” said Mark Ackerman, director of maintenance & repair management for LeasePlan USA. “Recommendations from fleet maintenance experts can potentially save you significant time, money and headache." The forecast is that the cost of maintenance should be flat in 2018. “Vehicle replacement cycling trends show that fleets are decreasing the time they keep assets, which will bring down the overall maintenance expense for fleets,” said Jewell for EMKAY. But it is anticipated that there will be increases in tire prices and labor rates. 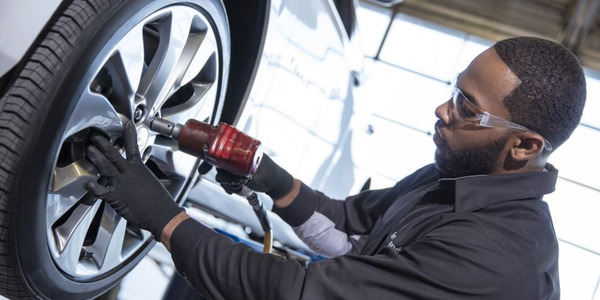 “In addition to tire price increases, the scarcity of qualified technicians in the job market will drive up technician compensation. These increased labor costs will pass through to consumers and fleets in the form of rising shop labor rates,” said Atchley of Enterprise Fleet Management. Labor rates are anticipated to increase in 2018 as operational expenses increase, partially driven by auto technician shortages. Others, likewise, foresee labor rates rising. “We anticipate additional increases in labor rates of national service providers for non-menu service repairs. We also expect continued increases in brake and caliper costs associated with increased tire diameter sizes. Additionally, fleet managers are more actively leveraging exception reporting and mobile technology to increase driver compliance for preventive maintenance services,” said Albright of Merchants Fleet Management. The anticipation is that labor rates will rise at the rate of inflation, perhaps greater. “We would expect to see increase equal to or more than the inflation rate. We’ve recently seen some significant increase in labor rates at independent repair facilities,” said Christensen of Element. There is also the emerging trends of different tiered labor rates depending on the type of vehicle. “Dealerships charging ‘fees’ such as ‘laptop fee’ when already charging for diagnostic fees,” said Lange of Element. As new technology becomes increasingly found in fleet vehicles, it may begin to stretch the skillset of some service providers. Some onboard features have become perceived necessities to fleet drivers. Although a vehicle may be operational, drivers will request a rental replacement vehicle until the repair is made. “For instance, recent safety features such as hands-free cell phone operation is considered by many drivers a necessity and if there is a problem with these features, will request rental vehicles until the features are repaired,” said Christensen of Element. New onboard vehicle safety technology is helping to reduce accident repair costs. Fleet management company records substantiates that collision avoidance technology reduces the incident of crashes. “In general, we’ve seen an overall decrease in accident rate with the use of telematics and increased safety features. However, when accidents do occur, severity or repair costs have been higher due to increasing vehicle complexity,” said Wuich of Donlen. As a broader, more general strategy, forward-thinking fleet managers are working to incorporate Big Data and other new technologies into their operations in order to drive transparency and better decision-making. “From preventive maintenance to evaluating trends in order to predict problems before they occur, Big Data and technology will empower those organizations that embrace it to deliver efficiencies that translate to lower overall TCO,” said Foster of ARI. The other side of increased onboard technology is the subsequent increase in diagnostic charges when something malfunctions. “With the advent of new safety and technology features, we are seeing new types of repairs that require diagnostic review to detect. In general, this results in more diagnostic charges,” said Wuich of Donlen. Onboard diagnostic displays have changed drivers’ behavior and diagnostic trouble codes (DTC) have enhanced the dealer’s ability to improve the repair experience. With more and more technology embedded in each vehicle, independent shops are making significant investments in the ability to diagnose and repair using the data from in-vehicle technology. While very reliable, new onboard technology is a new expense that is added to the palate of fleet operating expenses. “Many previously simple repairs are now requiring a calibration of the Automatic Driver Assist System (ADAS), consisting of cameras, sensors, and controllers. For example, a windshield replacement now requires recalibration of ADAS on many vehicles, which requires specialized, and expensive, tooling and equipment,” said Atchley of Enterprise Fleet Management. As vehicles become more complex, so do all aspects of vehicle repair, including in the collision realm. On the whole, technology is helping fleets to better manage maintenance. “This leads to decreases in downtime and its impact on the bottom line, as well as decreases in the overall costs for the services and repairs needed. 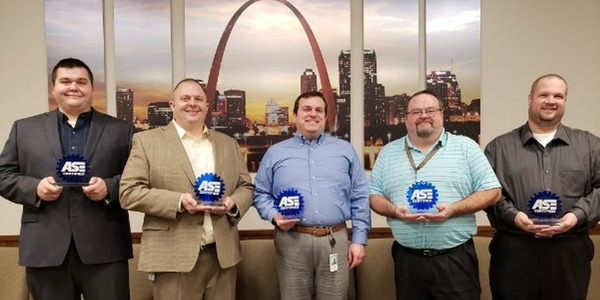 Big Data — implemented through telematics and a comprehensive software solution — is providing insight and transparency into fleet operations like never before,” said Foster of ARI. For example, GPS technology and geo-fencing gives companies more information and the ability to move vehicles from the shop back into service more quickly. “A fleet manager can request a notification in real-time whenever a vehicle crosses the property line of a repair shop as well as a notification if that vehicle stays at that shop for too long. This transparency provides the fleet manager with the ability to expedite repairs instead of waiting to receive the details from the driver or repair facility. Repairs can be monitored closely so drivers can return to the road faster and continue generating revenue for the company,” said Foster. One technology that is making a positive impact on fleet maintenance is telematics. According to fleet management companies, the number of fleets employing telematics systems is on the rise. A key advantage to telematics systems is the ability to spot maintenance issues at their inception before they become larger and more expensive problems using telematics diagnostic trouble codes (DTC). One area that promises to put downward pressure on maintenance costs is the use of data analytics as a predictive maintenance tool. Christensen also citing the impact of data in reducing maintenance costs. “Today, there is more data available to clients. Clients can easily identify which providers provide the lowest cost option for repairs and can work with Element to develop unique operating policies around choice of vendors,” said Christensen. Depending on how vehicle propulsion systems evolve in the future, it will have a direct bearing on future maintenance costs. “In the long-term, maintenance costs could be mitigated through the increasing use of fully electric vehicles (EV), which require significantly less maintenance,” said Atchley of Enterprise Fleet Management.